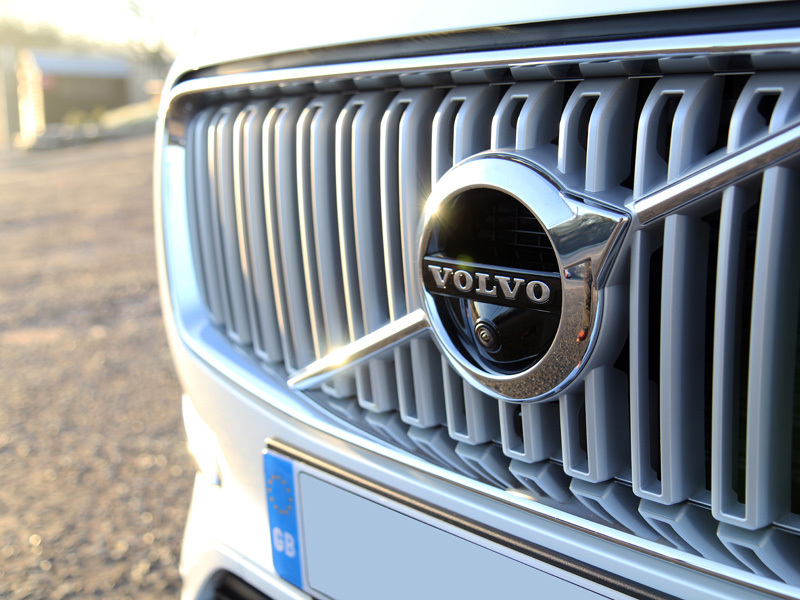 The name ‘Volvo’ is derived from the Latin verb ‘volvere’, meaning ‘to roll’ and it’s certainly come a long way since the first Volvo ÖV 4 Series rolled off the production line in 1927. 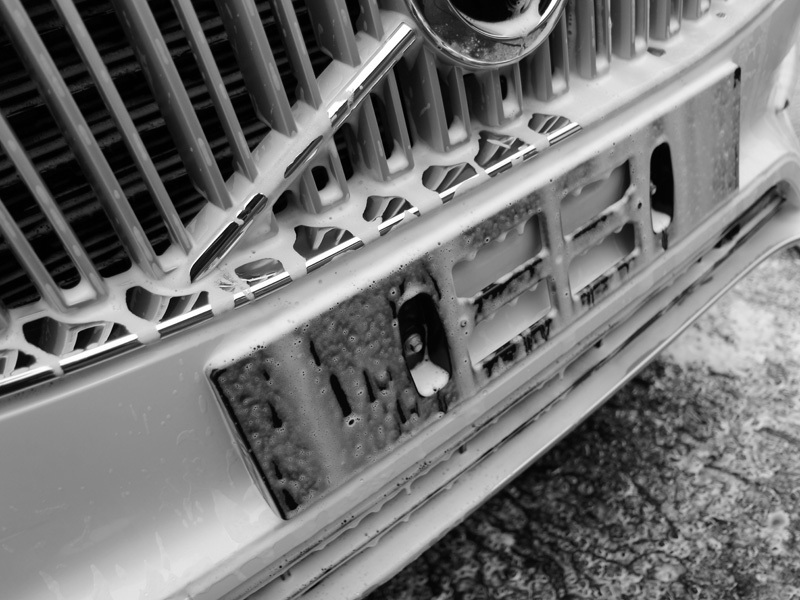 Since then, Volvo has made its name as a designer of robustly-built, practical cars with a focus on quality. 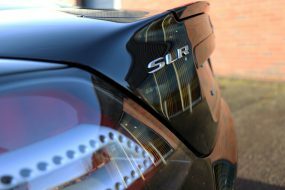 They’ve been right at the forefront of innovative technology designed to make driving safer and they’ve earned a name for efforts to limit the impact motoring has on the environment. 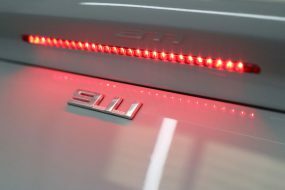 Having overhauled the diesel range to produce some of the most efficient engines available, the latest incarnation of SUV sees Volvo embracing hybrid technology with style! 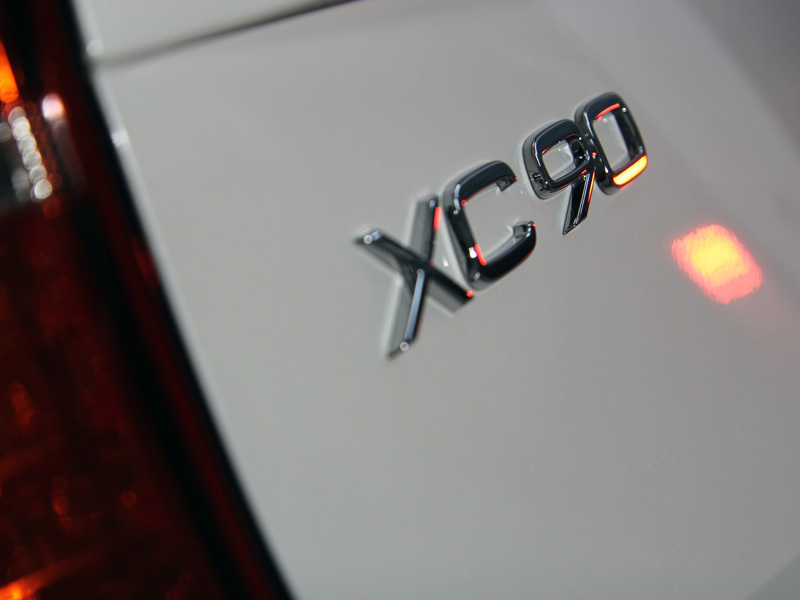 The XC90 T8 is a twin-engine luxury SUV. 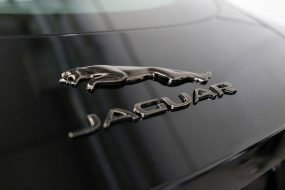 The 2 litre turbocharged engine boasts an impressive 320 bhp and the electric engine delivers 87bhp. Teaming up with Pod Point has resulted in a charging solution that will see a battery charged from flat in as little as two and half hours (although it does take longer if conventional 240v is used). In hybrid mode, the XC90 T8 returns and impressive 134mpg. Unlike most hybrid vehicles, the electric system doesn’t take up a portion of the cabin space, making it a true, full-sized hybrid seven-seater. 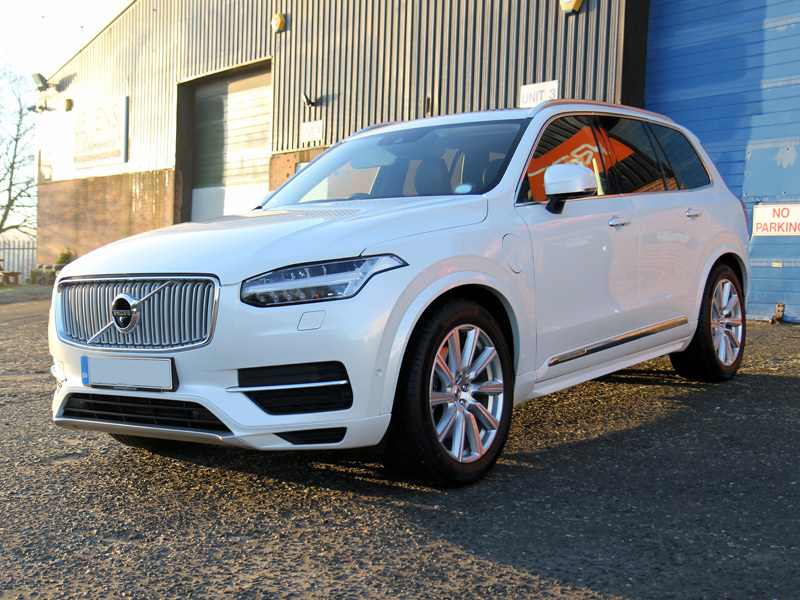 Having invested in a brand new XC90 T8 Inscription, the customer wanted his new pride and joy protected, right from the start. 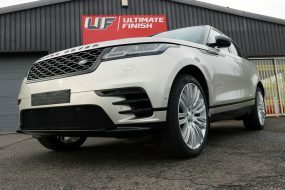 With this in mind, he delivered his Pearl White vehicle to UF’s Brands Hatch based Detailing Studio for a New Car Protection Package, incorporating a New Car Protection, Alloy Wheel Protection, Glass ClearVision Treatment and Leather Protection. 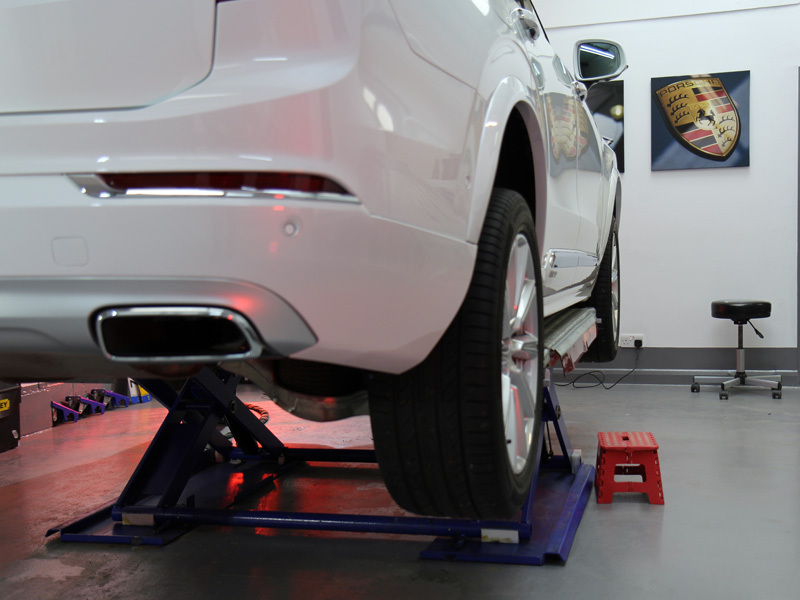 As the XC90 T8 had been driven to the studio it was already dirty, requiring decontaminating and pre-cleaning before the protection treatment could begin. 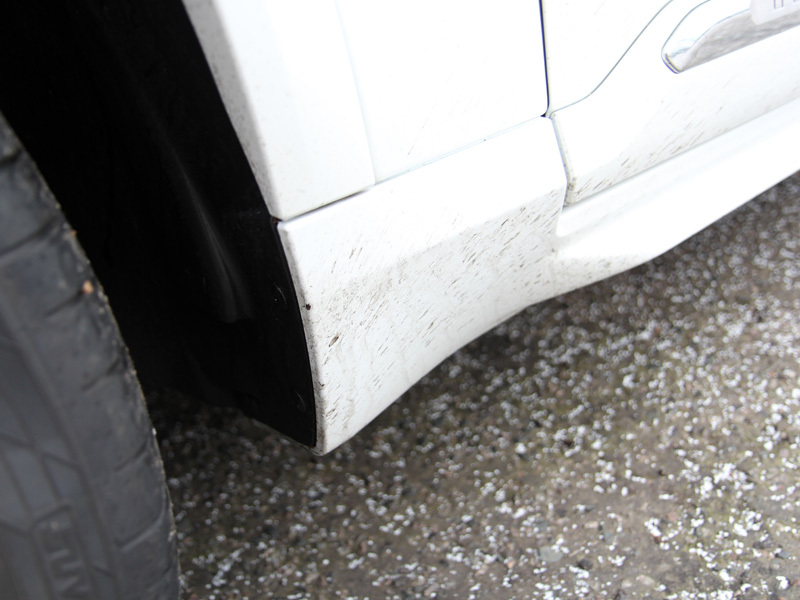 The number plates were removed to ensure the vehicle could be thoroughly cleaned. 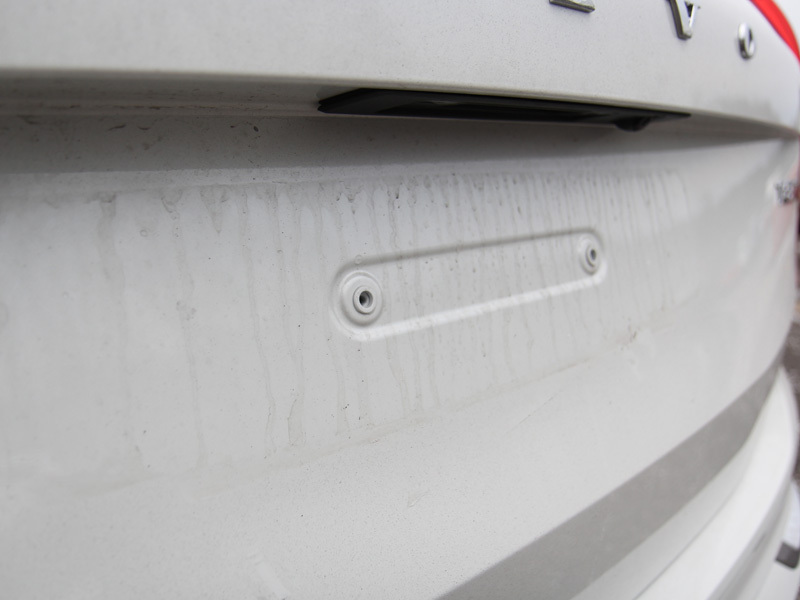 Initially, the car was treated with Valet Pro Dragon’s Breath Iron Contamination Remover. This acts on ferrous particles, usually derived from brake pads which shred under load. Tiny filaments become airborne and attached to the nearest surface, so usually is found on wheels, along sills and under wheel arches. Dragon’s Breath changes colour to indicate the presence of iron contamination and when the colour has fully developed the contamination can be easily rinsed away. Next, the XC90 was treated with Bilt-Hamber Surfex HD to remove traces of transportation wax, diesel splatter and road grime. After rinsing the car was then pre-cleaned using Ultimate Snow Foam to remove larger particles of dirt and grit prior to the main wash.
After Ultimate Snow Foam was rinsed away the car was carefully washed using the Two Buckets, an Ulti-Mitt Wash Mitt and Gtechniq G-Wash. The Two Bucket Method consists of one bucket containing soapy wash water and one containing clean water for rinsing the mitt. Both buckets have Scratch Shields in the bottom. The mitt is dunked into the wash bucket and loaded with shampoo water, the mitt rubbed over the vehicle and then rinsed in the clean water. The mitt is brushed over the Scratch Shield to release the particles of dirt which then sink to the bottom of the bucket. The mitt is wrung out and dunked back into the soapy wash water and the process repeated. This preserves the wash water, keeping the majority of the dirt and grit in the rinse bucket, and prevents reintroducing the dirt to the surface of the vehicle. 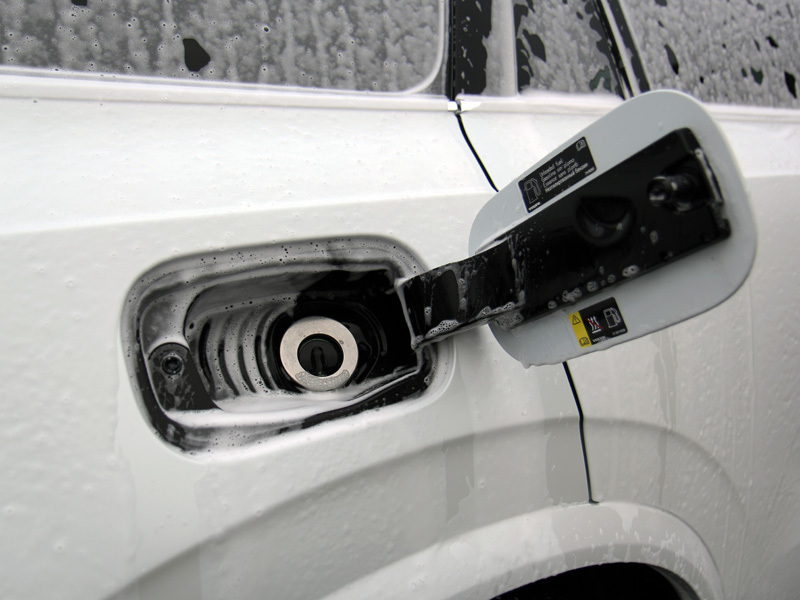 Once the car was clean, an Aqua Gleam De-ionising Water Filter was attached to the hose to give a pure water rinse. The car was then patted dry using UF Ultra-Soft Microfibre Drying Towels and brought inside the studio for appraisal. 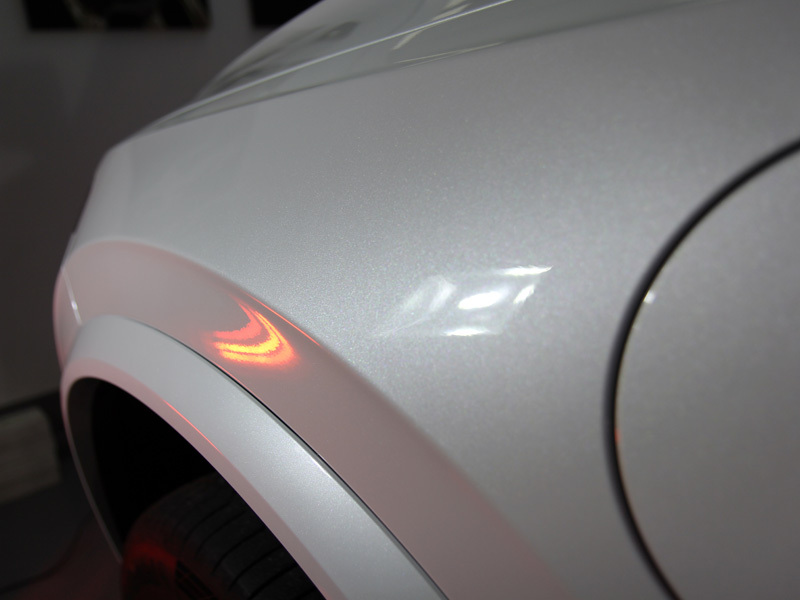 Using high-intensity lighting, the paintwork was inspected for swirls, scratches and other blemishes. 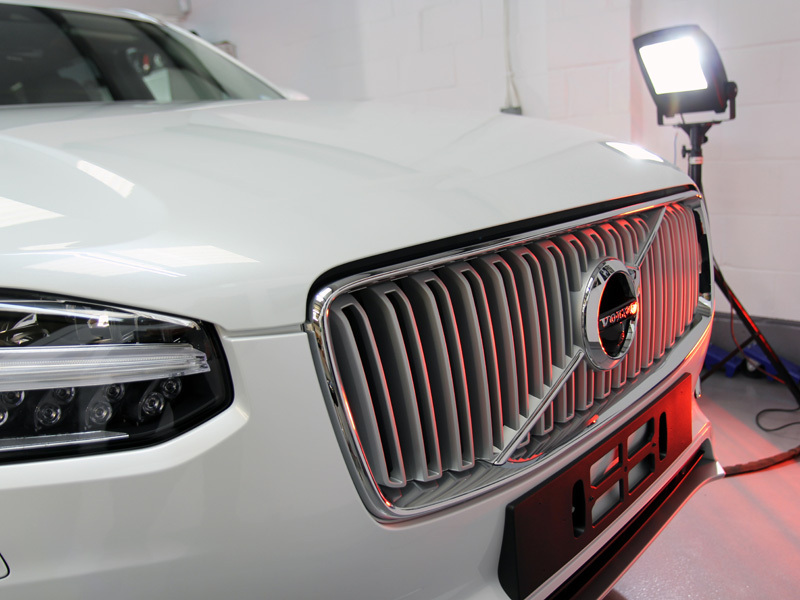 To ensure the highest possible shine, the XC90 T8 was polished by hand using PolishAngel Esclate Lotion. The paintwork and wheels were then wiped with Gtechniq Panel Wipe, a cleanser which ensures all residues are removed, leaving the surface ready for the sealant layer. On this occasion, the customer requested that Gtechniq CS Black be used as the final sealant. The initial stage is the application of a single layer of Crystal Serum. This innovative sealant cures as a dual layer, the lower layer sets to a hardness of around 7H, the upper layers sets to around 9H. The underneath layer provides flexibility to the coating and coupled with the hard top layer provides a superior level of swirl resistance. Additionally, Crystal Serum is virtually impervious to extremes of pH. Once cured Crystal Serum is so tough Gtechniq guarantees its performance for seven years. The second stage of CS Black involves a wait of six hours curing time followed by a layer of EXO Ultra Durable Hybrid Coating being applied over the top of Crystal Serum to further enhance the gloss and provide even higher levels of water beading. The interior was vacuumed and the leather cleaned using Swissvax Leather Cleaner before being sealed with Gtechniq L1 Leather Guard AB. This abrasion resistant coating provides an antibacterial function to treated surfaces and helps prevent the transfer of dye to the leather. Liquid spills are repelled, helping to keep the leather cleaner for longer. For the same reason, the carpets were coated with Gtechniq I1 SmartFabric AB. The glass was cleaned and then sealed using Gtechniq G1 ClearVision Smart Glass. Highly hydrophobic, this coating encourages water to bead on contact, allowing it to be easily blown away even when driving at relatively low speeds. Being hydrophobic, snow and ice cannot bond as effectively with treated surfaces, so frosty starts are much easier! 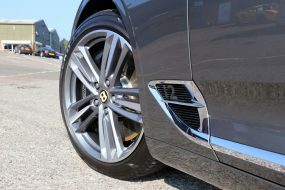 The wheels were treated with Gtechniq C5 Alloy Wheel Armour. This heat resistant coating repels dirt, water, oils and brake dust build up, making treated surfaces easier to keep clean and negating the requirement for harsh wheel cleaners. 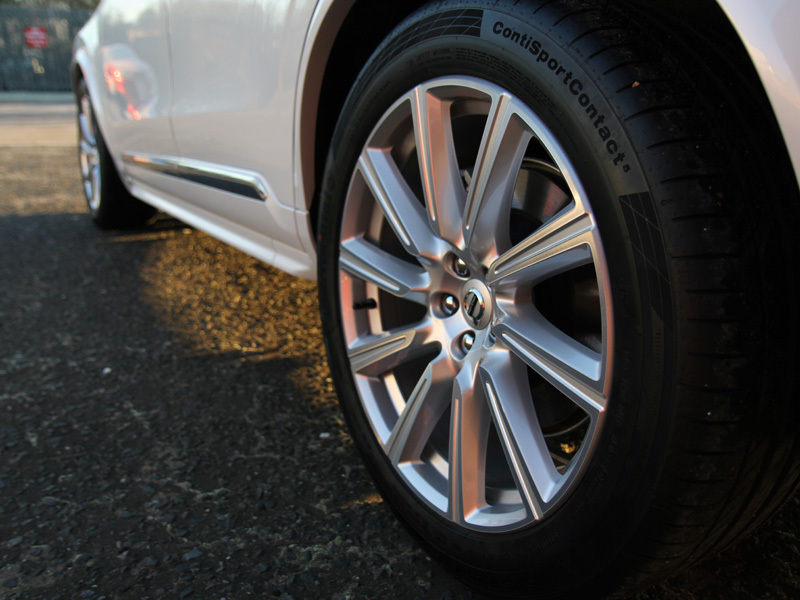 The look was then completed using Gtechniq T2 Tyre Dressing for a natural, satin sheen. 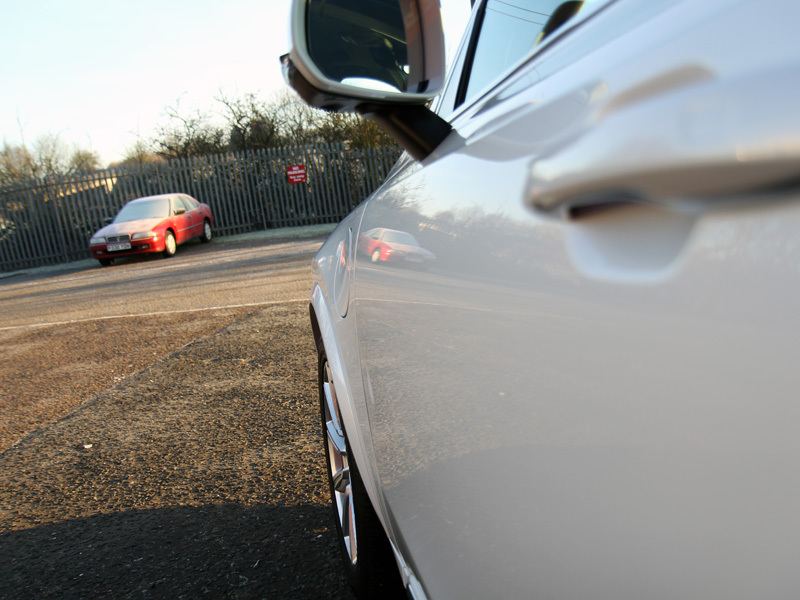 The Pearl White paintwork looked absolutely stunning in its new Gtechniq coat! *Gtechniq Crystal Serum must be applied in tightly controlled conditions to ensure longevity and performance. As a result, this product is available as a service only through Gtechniq-approved detailers.